Bonus! You will instantly receive one free lesson upon sign up! Start your journey immediately and from the comfort of your own home. Take a class with Carmel every single week and learn directly with her! Your intuition is your birthright and one of the most important gifts you received in this lifetime from the moment you were born. The problem is, no one taught you or told you that you were allowed and supposed to use it. So you may know you have it, but you’re just not sure how to use it daily in your life. Yes …DAILY! We are so excited to share with you Carmel’s newest program created to help guide you on the path to developing your birthright. Your intuition! When you develop your intuition and begin to use it on a daily basis, life gets a whole lot easier. The answers are all within you, all you need to do is, learn how to listen. Carmel often says that when we begin this journey, life begins to take a drastic change and we begin to navigate ourselves through the changes with ease and confidence. Imagine no longer being scared things will work out, because you already know they will. What about being able to see or feel things before they even took place, so you knew what choice or decision to make. There are 20 weekly audio lessons. It’s like taking a class with Carmel every single week from the comfort of your own home! Each one is over 10 minutes long, and crammed packed with examples, lessons, homework and more! It’s authentic, real and gives you a ton of valuable information. Some of which is what Carmel is even currently learning herself! Click here for a sample of the first BONUS lesson! 20 weeks of audio lessons and homework from Carmel! 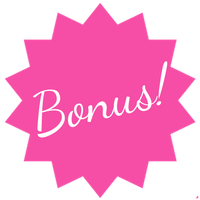 BONUS lesson upon sign up! Build your Spiritual awareness, and learn how to hardness your intuition! You can download the audios to listen on the go!